Websites we love and teams around the world that we work with. Our partners are an important part of our network. They extend the value of our solutions for schools. Together, we work to ensure success. CaLa Consulting corporation began in the year 2000 from a group of highly skilled and experienced industry consultants and businesses. Together they delivered solutions and services for over 20 years in the Latin American region and decided to strengthen their relationships and establish a strategic alliance to bring world-class products and services to their clients. CaLa Consultings’s partnership with BRIM makes them the exclusive provider of BRIM to schools, universities, governments and other organizations in the Latin American and Caribbean regions. 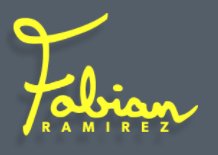 Fabian speaks in middle & high school assemblies and is regarded as the top bullying speaker in the nation. His message includes social and emotional learning techniques to help students have positive relationships. In addition to being a school assembly speaker, Fabian facilitates professional development trainings for teachers, faculty and parents. Bully B.R.A.V.E provides practical tools for students to defensively diffuse bullying. Our vetted instructors empower students to lead confident and bully-free lives inside and outside of school. Be Strong of Deerfield Beach, FL works with students and communities across the country in an effort to end bullying. 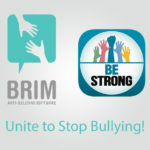 BRIM has partnered with Be Strong so both organizations can better reach students and communities around the world to create positive cultures and put a stop to bullying. Be Strong’s library of self-help content and set of digital tools connect people of all ages with one-touch resources like a bullying lifeline, suicide lifeline, text line, and trusted friends alert, a Smartphone App, and an information portal. These tools along with increased access to social resources are backed by a growing team of volunteers prepared to spread the message of help and understanding to young people in need. Be Strong’s support resources empower students to help themselves – a critical component of any anti-bullying initiative. F.Y.I. Technologies, Inc. is committed to making sure technology is simple to understand and use. As a technology company we pride ourselves in providing cost-effective alternative solutions to common technology problems and making sure that you get the best personal customer service possible. 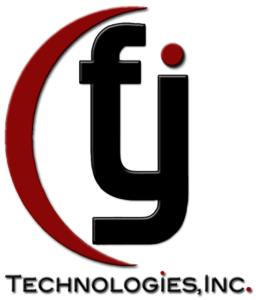 Mr. Carlos Garcia is the CEO of F.Y.I Technologies, Inc. and has been working and providing solutions in technology for over 20 years serving in roles such as Director of I.T. and as a Technology Consultant for both school districts and small to medium-sized businesses. Victoria Woelders from Vancouver, Canada blogs about technology, teaching and life as a Mom. Her blog is a journey of her passions, inspirations and moonshot thinking. Victoria has been interviewed as a guest blogger here on the BRIM Blog. As an educator and education-technology fanatic, Victoria also provides critical input into how we shape and build our product.